Gardeners, Are You Ready For a Seed Trial? Have you considered participating in a seed trial? It's a meaningful way to take your gardening to another level. Don't be afraid to give it a try. All you need are basic gardening skills and experience growing from seed to maturity (especially with annuals: vegetables, herbs or flowers). The reasons for conducting seed trials are to gather details about the performance of a particular plant in different parts of the country, therefore in diverse climate zones, growing conditions and different growers. This "crowdsourcing" approach has been very effective for organizations such as non-profit Seed Savers Exchange in Decorah, Iowa, and specialty grower, Rancho Gordo in Napa, California. The information gathered from teams of gardeners and farmers enables the organization to offer rare varieties to the public with instructions and details about planting, growth habit and eating quality. Harnessing the efforts of growers is an invaluable resource for keeping the thousands of historical and heirloom edibles in circulation and in preventing their extinction. So besides the fun of trying out new varieties of edibles, you can feel good about contributing to their preservation. Among the data the participants are typically asked to record are: number of days to germination, rate of germination, days to flowering, days to maturity, size at maturity, and eating quality. Photographs may also be requested. 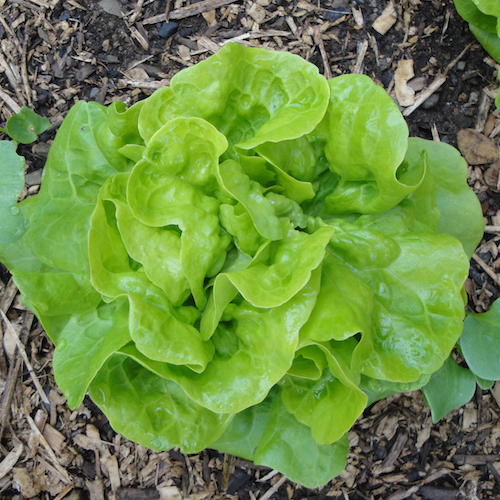 And if your crop fails, that's important information too- insect pests, animals, unexpected weather, and diseases, these are the realities of gardening. In my experience, participants are volunteers and are not paid, but the seeds are supplied free of charge. As a gardening geek, I love getting the trial seeds in the mail- they are in plain packages with no pictures and no instructions. It's exciting to grow them out and discover each new variety. Some of these, particularly from Seed Savers, are very precious and there is only a limited amont of seed available. The majority of the seeds they save from extinction are sent to them by ordinary folks who have grown the seed within their families or with neighbors for generations. Saving the seeds from the trial is usually not required, but I always save some to grow again and share, and in the end, that's the goal with heirlooms. Steve Sando, owner of Rancho Gordo, became a collector, grower, and supplier of a diverse array of beans, many of them rare, that he brought to the United States from his travels abroad. In some cases he has contracted with small heirloom bean growers in Mexico (see Rancho Gordo-Xoxoc Project) as a way to give them a market, which makes it possible for them to keep their farms and livelihood. 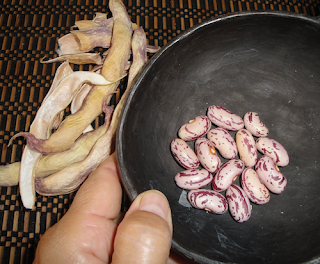 And what beautiful beans they are! Beans hold a special place in my heart. I grew up eating lots of beans, lentils, and garbanzos in my Chilean family, and I love them all. And because I don't eat meat (except seafood), I was thrilled to discover I could grow protein rich food in my own garden. 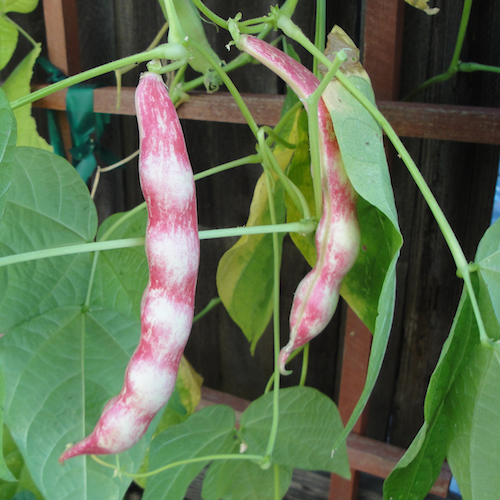 This year I'll be trialing two beans from the Putla region of Mexico for Rancho Gordo, and an heirloom lettuce called "Grandma Hadley's" for Seed Saver's M-GEN project. If you are interested in learning more about the M-GEN project or participating, contact them at: m-gen@seedsavers.org. 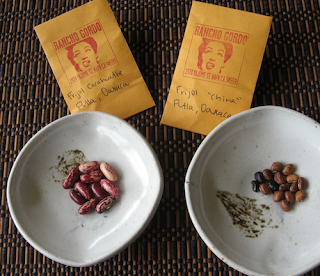 Read my post about the Rancho Gordo bean trial. If you would like some over-the-top inspiration about getting involved in saving seeds, watch this short presentation by Simran Sethi, in a TED talk she gave on April 2, 2013. Beautiful.